The Fuller Center Bicycle Adventure is celebrating its 10th anniversary this year with a goal of raising $400,000 on this year’s rides — an ambitious amount that would put the ride over the $2 million mark in all-time fundraising for The Fuller Center for Housing’s mission of partnering with families around the world in need of simple, decent places to live. Because of overwhelming interest in the Adventure, there again will be multiple routes in 2017. Beginning today, a 3,600-mile ride from San Francisco, California, to Savannah, Georgia, begins with a 38-mile ride to Novato, California. 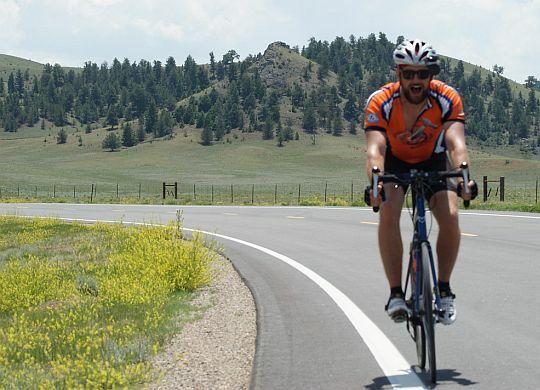 The riders will average about 75 miles per day until the ride’s August 5 conclusion. Meanwhile, in Seattle, riders are gearing up for a 1,600-mile, four-week ride down the West Coast to San Diego. Today the riders are having a work day with Seattle’s Attain Housing. On Sunday, they will have a 20-mile warm-up ride and will begin their journey down the West Coast in earnest Monday with a 40-mile ride to Tacoma. A four-week East Coast ride from Portland, Maine, to Key West, Florida, will begin July 15 and will rendezvous with the end of the cross-country ride for a 10th anniversary celebration on August 5 in Savannah. The Fuller Center for Housing would appreciate your prayers of support for these dedicated cyclists’ safety and success in 2017.